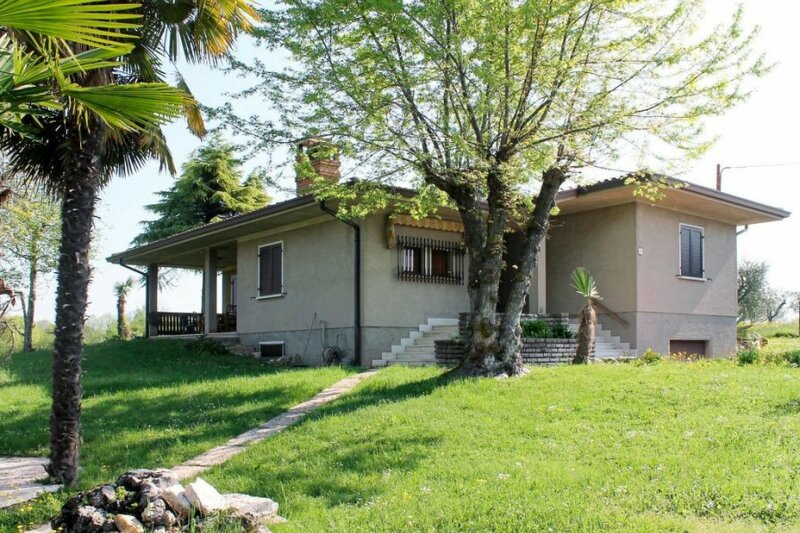 This 2 bedroom apartment with swimming pool is located in Lazise and sleeps 6 people. It has WiFi and air conditioning. Apartment, 4 - 6 people, 4 room/s, 2 bedroom/s, 1 bathroom/s, approximately 140 m², 1 floor/s, apartment on ground floor, access to the property via external stairs. Please note: Permanent tenant lives at the lower floor. Equipment: satellite TV; washing machine; gas central heating; air conditioning (only in the hallway). € 3 per person and day (depending on occupancy). Air conditioning if required, € 5/​day. Holiday resort tax. Linen/towels must be brought along. Bed linen and towels available on loan, € 12 per person/​change (on order). Deposit € 200 (in cash). Cot/​High chair free of charge (on request). Pet not allowed. Next to Camping Amici di Lazise. Pool (shared use): 18.0 x 8.0 m, 15/05/19-15/09/19, depending on the weather, children's pool. Please note: distance to the pool approximately 100 m.
Infrastructure: internet access Wi-Fi (included) at the restaurant. Bar/cafe, snack bar, food shop. Important information: The apartemnt is on the same estate as the camp ground "Amici di Lazise" (direct access). The pool and other facilities may be used by INTER CHALET guests, eg bar with free Wi-Fi on the terrace, pizzeria, grocery store). Plot description: 2 x car park. The apartment is described as good value for money. This apartment is located in Lazise. It is set in a very convenient location, just 0 metres away from a beach and only 1.7km away from the city center.